The Securities and Exchange Commission (SEC) was required by the Gramm-Leach-Bliley Act to establish standards to safeguard client information and records. As a result, the SEC adopted Regulation S-P, which among other things, requires investment advisors registered with the SEC to adopt appropriate policies and procedures that address safeguards to protect this information and to disclose its privacy policies to clients. Wilkins Miller Wealth Management LLC (“WMWM”) has always taken great measures to protect and safeguard information we gather on our clients. As a financial company, we can choose if or how we share your personal information. Federal law gives consumers the right to limit some but not all sharing. Federal law also requires us to tell you how we collect, share, and protect your personal information. Please read this notice carefully to understand what we do. WMWM's web servers collect domain names and/or IP addresses of users to measure what pages and features are accessed by our visitors. This information helps us administer the site, improve content and gather broad demographic information for aggregate use. WMWM may use “cookies” or similar files or scripts throughout its website to enhance your convenience in using our websites, to improve search functionality or to hold information that you would otherwise need to re-key. “Cookies” are text files collected by a user's web browser. If you do not wish to accept “cookies” from our website, you may configure your web browser so that it does not accept “cookies”; however, you may lose certain functions available on our website. We disclose personal information to companies that help us process or service your transactions or account(s) (such as Schwab Institutional, or others, as applicable). WMWM restricts access to your personal and account information to those employees who need to know that information in order to provide services to you. We maintain physical, electronic, and procedural safeguards to guard your nonpublic personal information. We must provide you with a copy of this statement which details our sharing practices when you initially open an account and each year while you are a customer. This Policy, and WMWM 's collection and use of customer information, shall be governed and interpreted in accordance with the laws of the United States and the State of Alabama. Any disputes arising out of this Policy shall be adjudicated in a court of competent jurisdiction in the Southern District of the State of Alabama. WMWM does not send emails to customers requesting billing, login or password information. If you receive an email purporting to be from WMWM that asks you to provide personal or account information, or login and passwords, do not provide such information unless you have first verified that the website or email is from WMWM. Such emails may be fraudulent and used in connection with scams known as phishing. WMWM asks that you report any suspicious emails or websites to WMWM. WMWM has taken steps to reasonably ensure that the privacy of your nonpublic personal information is maintained at all times, including in connection with the disposal of information that is no longer required to be maintained. Such steps shall include whenever possible, shredding paper documents and records prior to disposal, requiring off-site storage vendors to shred documents maintained in such locations prior to disposal, and erasing and/or obliterating any data contained on electronic media in such a manner that the information can no longer be read or reconstructed. 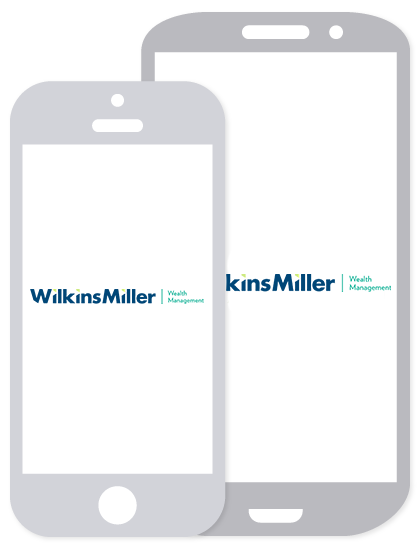 Send a request by mail to: Wilkins Miller Wealth Management, 41 W. I65, Service Road N, Mobile, AL 36608. Data security, cybercrime and identity theft are growing concerns for all of us. WMWM is dedicated to helping ensure your information is safe and secure. If you ever have security-related concerns, please do not hesitate to call us. We will work closely with you to ensure a rapid and personal response to your concerns. If you are the victim of fraud or identity theft, please contact your WMWM advisor or client service representative immediately. WMWM understands that you have entrusted us with vital personal information. We want you to know that we take our responsibility to protect your information extremely seriously. WMWM regularly reviews and evaluates both its privacy and security policies and adapts them as necessary to deal with the constantly changing data security landscape. We remain current with the regulatory requirements surrounding privacy laws and make changes as appropriate. We use the latest encryption services on our systems and regularly provide employee training and policy oversight. We also work closely with our custodial partner to remain up to date and closely aligned with their policies, procedures and practices. We encourage you to visit their websites for additional information about the ways they also protect your information. Your participation is an important component of all of our security efforts. We believe it is essential that we work in close cooperation with you as our client to maintain the highest levels of security. If you ever have security-related concerns, please do not hesitate to call us at 251.410.6700.